Where did the Digital Disciple Network come from? What is it all about? Digital Discipleship Boot Camp (DDBC) was started in 2011 by Sr. Caroline Cerveny, SSJ-TOSF and Claudia McIvor, MSEd, in their home diocese of St. Petersburg, Florida. Their mission was to bring technology training to administrators, religious education catechists and teachers, principals and church staffs. Although they began teaching in a face-to-face format, they soon adapted to an all-online training format. As participants graduated, the network of ministers comfortable with technology grew. 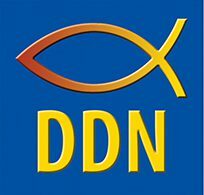 And so evolved the Digital Disciple Network (DDN), a network that now includes hundreds of ministers who live in the United States, Canada, Australia, New Zealand, and Portugal. If you are wondering what our DDBC graduates are doing with technology, we encourage you to read their stories on our Capstone Stories page. As you read their stories, you will notice that once they became comfortable and gained new skills, they quickly found ways to use social media, create videos, use and create websites and blogs, and more! This group has created Digital Disciple Competencies and the January 2018 Summit. If you are interested in integrating 21st Century technology in your ministry, this website is for you! Enjoy browsing our pages, and contact us if you have any questions or comments, or if you would like to be more involved in our network.